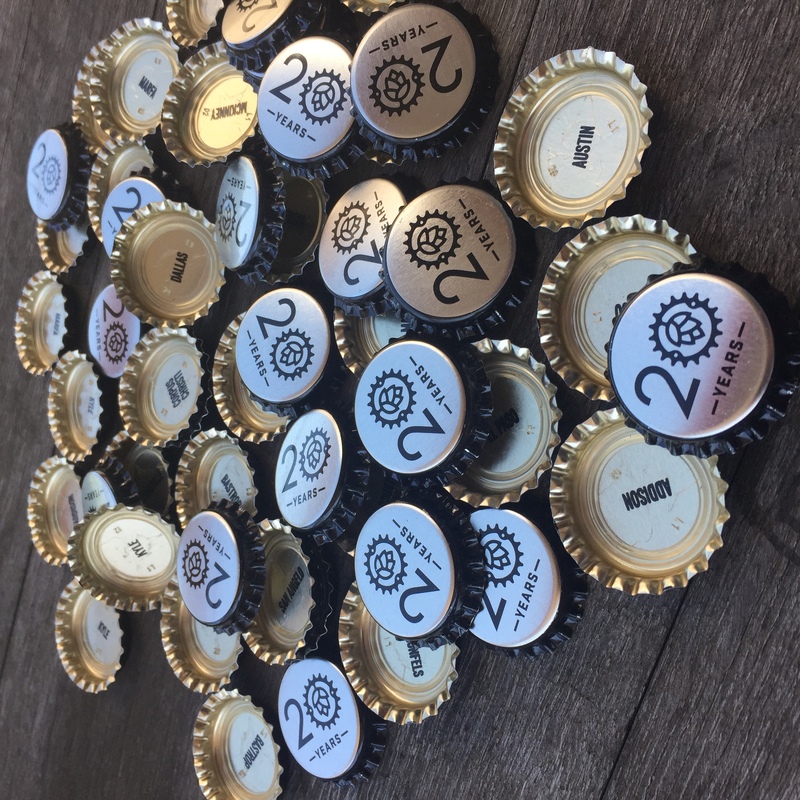 To celebrate 20 years of serving and selling Real Ale beer across Texas, we’ve designed a special 20th Anniversary bottle cap for each of our bottled beers. 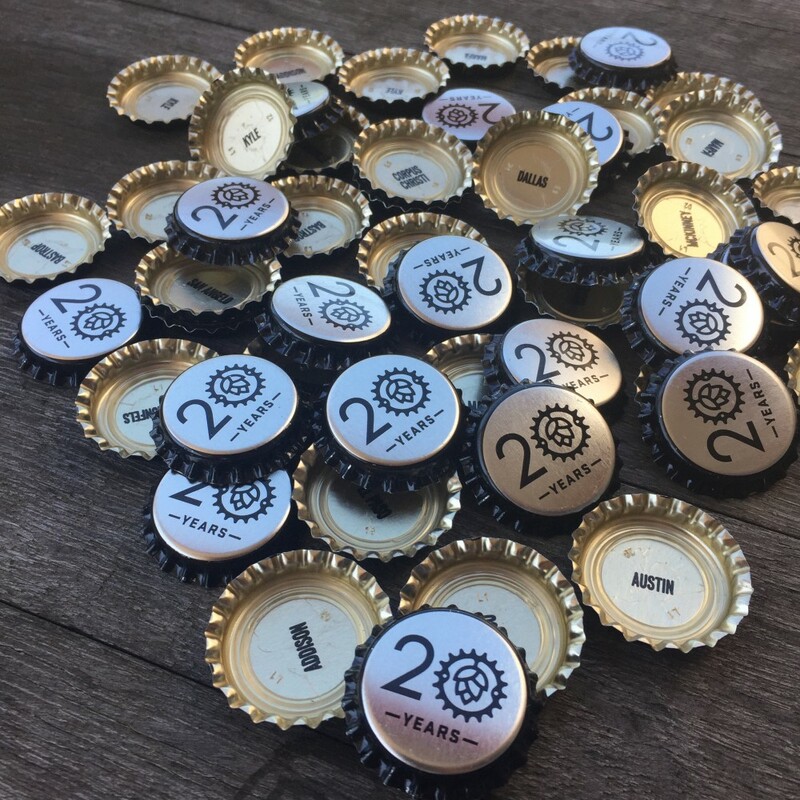 We’re paying homage to Texan beer drinkers with each bottle cap, too. Printed on the underside of every cap is a different Texas city – fifty in all – where Real Ale is sold. 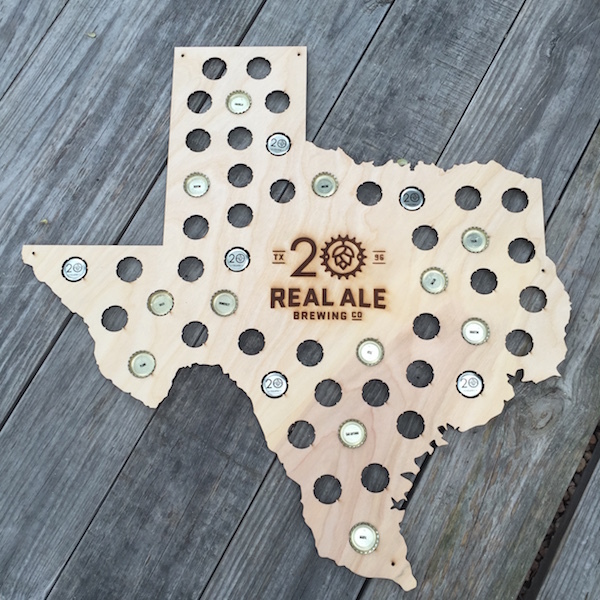 Collectors can display their collection in our limited-edition Texas-shaped bottle cap sign, available soon for purchase in our web store. Wish us a Happy Birthday! We love hearing from you. Really. The long letters you send about this liquid we all love help keep us going. Now we want to reciprocate that love. For a chance to win one of our limited-edition (photos coming soon!) 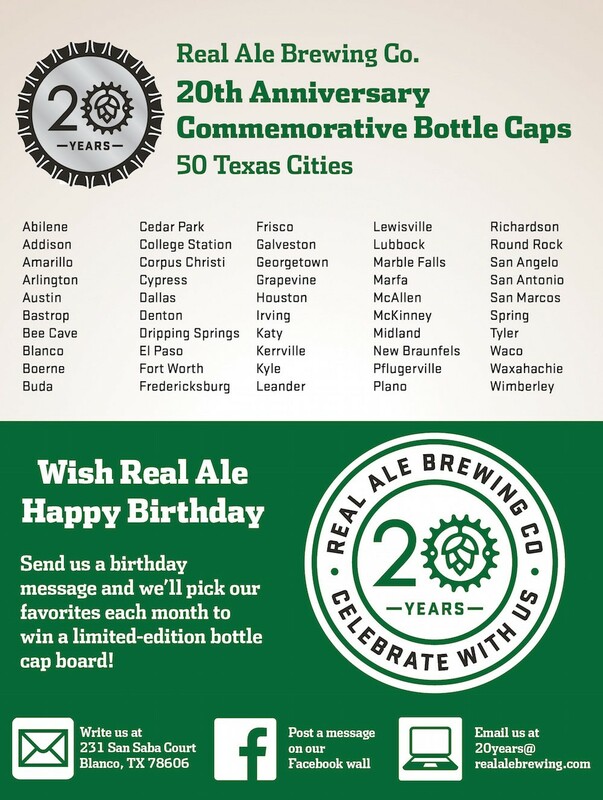 Texas-shaped bottle cap signs, send us a Happy Birthday message by mailing a card to the brewery, writing on our Facebook page, or emailing us at 20years@realalebrewing.com. Creativity is encouraged, and multiple entries are welcome! We’ll display the cards at the brewery all year long and each month we’ll pick 2 favorites to win one these fancy bottle cap boards and other awesome Real Ale swag. 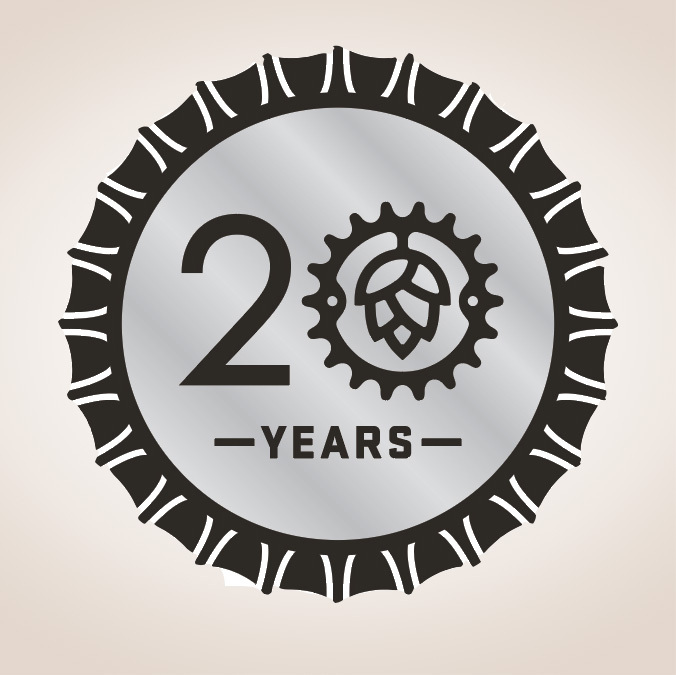 Cheers to 20 years!